We are dedicated to providing high-quality STEM education made accessible through a pop culture atmosphere. The Space Expo brings together the Space and Entertainment industries in order to strengthen them by fostering interest and creating future scientists and engineers. Pick any science-fiction franchise out of a hat, and odds are they depict humanity jumping straight from “landing on Mars” to “exploring the galaxy.” But while far-off stars and alien worlds may be exciting, there are hundreds of worlds and millions of other settings right here in our own solar system just waiting to be explored. From a canyon the size of North America on Mars, to clouds that rain diamonds on Neptune, to clouds of sulfuric acid and enough heat to melt lead the surface of Venus, our solar system provides more variety and drama than anything Hollywood could ever imagine. Join Alexander Winn, indie developer of the science-based colonization game TerraGenesis, as he demonstrates that our own solar system is the most under-appreciated science fiction setting in the history of the genre, and the biggest opportunity for any writer hoping to transport their audience to another world. NASA’s revolutionary new mission, InSight, is a Mars lander designed to perform an in-depth study of the “inner space” of the Red Planet: its crust, mantle, and core. Studying Mars’ interior structure and thermal state answers key questions about the early formation of rocky planets in our inner solar system more than 4 billion years ago, and it informs theories about the rocky exoplanets we keep discovering. Join a panel of InSight scientists and engineers from the Jet Propulsion Laboratory as they talk about their roles in the mission’s operations, some of the brand new science being done on Mars, and the latest data we’re getting back from the red planet. 50 years ago, humans took a giant leap and stepped on the Moon. Many of the people responsible for getting us there were inspired by science fiction comics and novels. This panel features a former NASA engineer who worked on the Apollo Moon missions talking about how comics inspired him, along with comic book writer Ron Marz (GREEN LANTERN) talking about inspirations from real-life space exploration he took for his work. 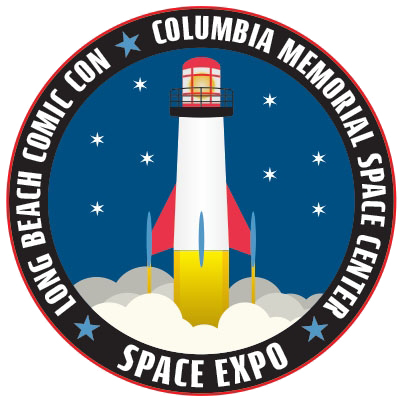 The panel will be moderated by Ben Dickow, President of the Columbia Memorial Space Center, which sits on the birthplace of Apollo, the site the famous Apollo Capsules were built just up the freeway in Downey. Presented by employees of the Jet Propulsion Laboratory, this panel highlights the New Horizons mission to Pluto and the Kuiper Belt, touching on the New Horizons probe itself and all of its scientific instruments, a timeline of the mission including milestones and scientific discoveries, details and latest findings on the newly discovered Ultima Thule, and highlight some of the other exciting New Horizons programs: Juno and Bennu.